Hair loss prevention and scalp therapy. CONDITIONS – How can we help you? Contact – Contact a certified center. CONDITIONSHow can we help you? 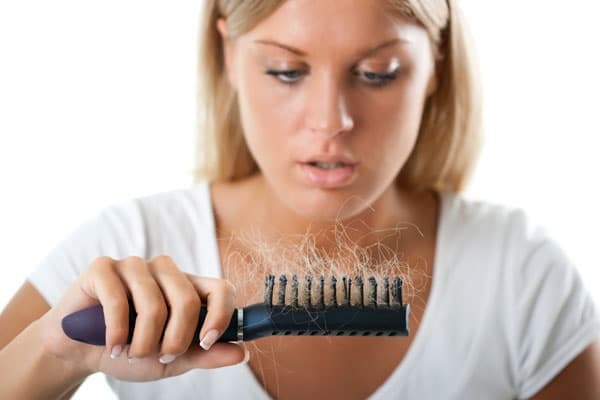 Hair loss in women is becoming ever more frequent. Environment, diet, stress, chemical processes or general health may all affect the health of hair and scalp. There are several types of hair loss in women, temporary or permanent. The origin may be hereditary, hormonal or directly linked to a health issue, a medication or even surgery. Quick and correct identification of the cause of hair loss is the best way to avoid wasting time and money on ill-suited treatments. 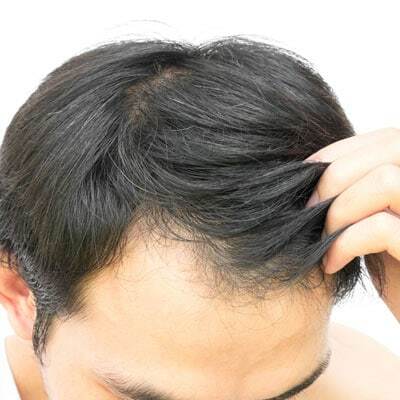 The key to slowing down hair loss is to take appropriate action as soon as possible. There is no miracle cure, but there are solutions that may help to balance your hair cycle and restore the health of hair and scalp. Solutions for hair loss? Capilia has them! Products from the Capilia Advanced Scalp Care Line are made with 100% natural ingredients including milk protein, amino acids and B6 vitamin. Their stimulating action targets the follicles and has been specifically developed for women’s hair and scalp. Use the Feminine Complex Shampoo in combination with the Feminine Complex Lotion from the Capilia Advanced Scalp Care Line. We recommend alternating with another shampoo from Capilia’s Natural Hair Care Ritual Line or Advanced Scalp Care Line. Note that your personal HOME CARE ROUTINE may differ. Ask your certified Head First hair and scalp specialist for a personal consultation. Thanks to the science of Trichology, our 3–step personalized care program will help you manage hair loss and scalp conditions. Ask your hair and scalp specialist for a personalized consultation. With an extensive questionnaire and a thorough scalp analysis, a certified Head First hair and scalp specialist will be able to fully understand your needs and recommend the most appropriate Capilia products and treatments for your particular scalp condition. Get off to a strong start with a routine for scalp and hair care available at a certified Head First hair renewal center. Developed to free your hair and scalp of residues and impurities exclusively available as a back bar salon treatment. The thorough cleaning action will prepare your hair for the nourishing elements of your home care program. Follow a proven home care routine. Fill out the form below and a certified Head First hair renewal center representative will contact you shortly. ©2019 All rights reserved. Hair Visions International is the distributor for Head First in the United States. Products only available through certified Head First hair renewal centers. Click here for a directory of centers.